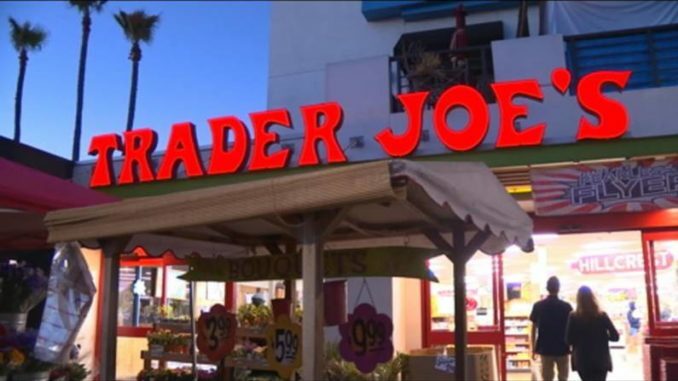 Popular grocer Trader Joe’s has filed a lawsuit asking a judge to halt signature gathering for petitions in front of its stores after customers across San Diego complained of aggressive tactics by gatherers. Despite the company’s policy prohibiting such activity, stores in Mission Valley, Point Loma, Pacific Beach and Hillcrest all reported aggressive signature solicitors. Signature gatherers have been out in full force trying to collect signatures from San Diegans in support of replacing recently-passed short-term vacation rental [STVR] legislation. Hillcrest Trader Joe’s customer Heidi Wagner says Sunday she experienced the signature hard sell, first hand.